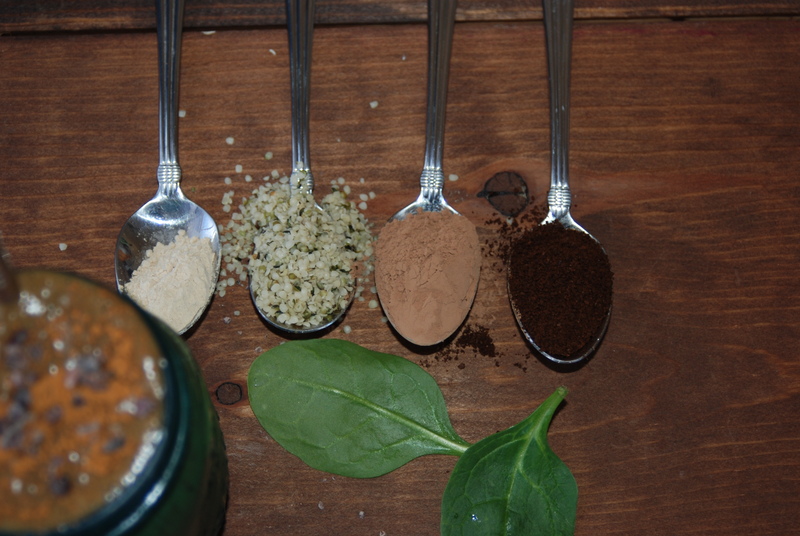 The MACA MOCHA green smoothie! After a particularly grueling workout the other day I ravenously scanned my fridge. The left over coffee that I had chilling in an Epson Jar, begged to be used in a green smoothie. My creation exceeded my expectations and gave me mad amounts of energy. 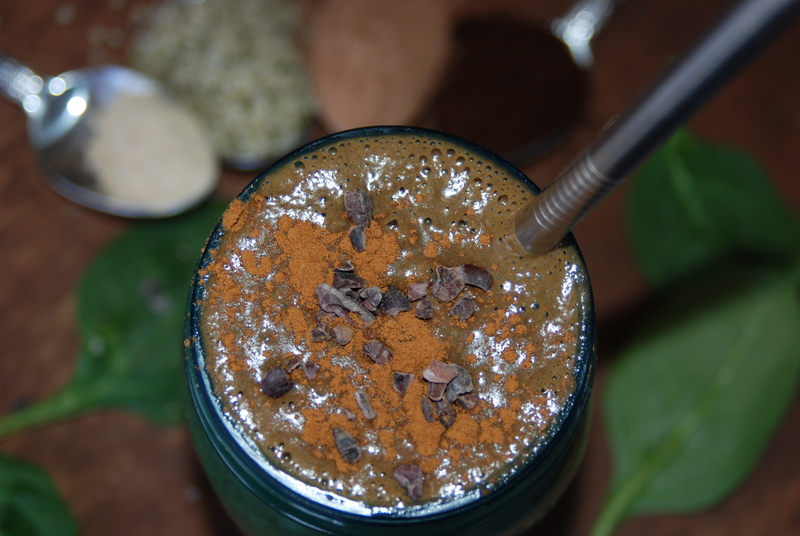 BLEND WELL, TOP WITH COCOA NIBS & CINNAMON. Note: If not using a high-powered blender, blend the liquid and spinach first. Then add remaining ingredients and blend well, stopping to scrape down sides of the blender as needed. Move, breathe, drink your greens, count your blessings, and be well!